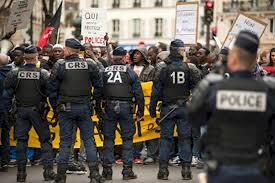 France using state of emergency against peaceful protests, Amnesty says – Royal Times of Nigeria. French officials have used the state of emergency imposed after the Paris attacks of 2015 to curb peaceful demonstrations, a rights group says. Amnesty International said hundreds of decrees were issued under the emergency laws, banning public assemblies or individuals from protests. It says between November 2015 and fifth of May 2017 there were 155 decrees issued under the emergency powers prohibiting public assemblies. It added that there were also six hundred and thirty-nine measures aimed at preventing individuals from taking part in public assemblies, the majority of them related to protests against proposed labour law reforms. The group also said that security forces used “unnecessary or excessive force” against peaceful protesters “who did not appear to threaten public order”. The state of emergency allows searches without a warrant and people to be placed under house arrest. It is set to expire on the fifteenth of July but President Emmanuel Macron has said he will ask parliament to extend it for the sixth time until November. The measure was introduced after the attacks of 13 November 2015, when militants from so-called Islamic State killed 130 people in gun and bomb attacks around the capital.